Fone Finder is a free, public search engine that finds the geographic location of any phone number in the world. You key in a phone number, and it will give you the city, state, country, a flag, map, and links to the area. Fone Finder can also find the country code, area code, and prefix given the city name. You can always find the international country given a phone number. For a growing list of countries, including the USA, Mexico and Canada, Fone Finder will also find the city. Fone Finder does NOT look up people. There are yellow pages that do a better job of that. It does not give you the phone number of a specific person or business. Don't ask for it, we don't do it, OK? The phone numbers in the world are divided into two groups: North American Numbering Plan (NANP) and international country codes. Fone Finder makes a similar split. USA/Canada/Caribbean search --The NANP countries are: the USA, Canada, the Dominican Republic, and a variety of Caribbean islands. The country code for the NANP group is "1", although you don't need to use it in Fone Finder. The entire region is divided into "Areas", each with its own three-digit "Area Code". Each of the American 50 states, and Canadian provinces, have at least one area code. Some states, like Wyoming have only one area code (307), while other states have dozens. The Los Angeles area has over 10 area codes. Within an area code, there are several hundred "Prefixes", each three-digits long. These are geographically allocated, with a small city of 30,000 residents having 3 to 5 prefixes. Prefixes used to be called "Exchanges", and are known to the phone companies as "NXX's". After the prefix, there are four more digits, giving a possible 10,000 phone numbers to each prefix, and 10,000,000 numbers per area code. Since many prefixes are reserved for special purposes (411-directory lookup, 911-emergency, etc.) this maximum limit is never acheived. The last four digits of a NANP phone number are ignored by Fone Finder, making individual people or business lookup impossible. International Search --All the other countries in the world have a country code assigned to them. Some countries, like the UK have a two-digit country code (44), and others have three digit country codes, like Finland (358). After the country code, there is usually a city code, from one to six digits. Each country is different in its allocation of country/city code digits. Type in the three-digit area code, into the "Area Code" box. This number may appear printed in parenthesis: "(213)"
Type in a three-digit prefix, into the "Prefix" box. This number may appear before a dash: "326-xxxx"
Type in up to 10 digits of the city's name into the "City Name" box. Upper/lower case doesn't matter. You may do a partial spelling, leaving unknown letters blank. Typing "NAS" will return "Nashville", "Nashua", and "Nassau"
All prefixes in the area code will be displayed. If there are more than 500 prefixes, the search will stop, to save you download time. In this event, key in some leading number in the prefix box, like "6". This will limit the search to only prefixes starting with "6" in that area code. All the area codes with that same prefix will be displayed. All the area codes/prefixes/states with that city name will be displayed. A picture of the state flag. Clicking on this flag will take you to a US Census page. There, you can click on links to demographic data, or on a map display of the city. Type in at least two, and at most 10 of the phone number. Omit a leading "0", "1", or "011"
A map of the country, and it's place on the continent and the globe. City name, if there is one stored. If not, then it will be blank. A picture of the country flag. Clicking on this flag will take you to a web page inside the country. This was picked subjectively to provide a central place to start exploring tourist and demographic information. If there is no blue box around the flag, then there is no link stored for this country. Fone Finder is written in a mixture of Hyper Text Markup Language (HTML) and the PHP scripting language. Html formats the screens, and sets up the input forms. PHP checks the user input for errors. Server-side PHP opens the database tables, and passes SQL queries to a MySQL engine, then formats and displays the results. The server-side PHP is processed by the Apache Web Server, and does not show in the output the user sees, so viewing the "Source" doesn't show it to you. Npanxx -- holds the area codes and prefixes for NANP countries. When doing a USA/Canada search, SQL is generated which search for matching records in the npanxx and state tables. In an international search, SQL is generated to search the Country table. This SQL query is passed to a resident MySQL engine, which returns a resulting table containing matching cities. PHP then formats and displays the results, including graphic flags and maps. "What about Number Portability?" -- Due to act of Congress, any telephone number in the USA can be "ported" away from its geographic nexus and default telco ownership, to a new telco. After a port, a new telco is assigned to the specific number. FoneFinder cannot track these numbers' telco because the official owner of the porting database is Neustar which has a nondisclosure agreement which prohibits anyone from releasing porting information. I wish I could provide this information to you, but am prevented from doing so. Bottom Line: FoneFinder is inaccurate to the extent that numbers have been ported. IND TELCO = A small local phone company, not previously part of the Bell System. PCS = A Personal Communication System provider, like Pacific Bell PCS. Cell phones and data transmission. "I want to download your database. Why can't I?" -- Fone Finder's search engine deliberately cuts off queries of more than 1000 records. If you want a database of NPA/NXXs that you can use on your computer, please check out C.O. Finder by Stuff Software. "The city Fone Finder shows does not match reality. Why?" -- With the new explosion of CLECs, many city names listed in Fone Finder do not match the geographic location. This is because companies get to name the C.O. location themselves, and often use some generic big city name that's local. Looking up People -- Fone Finder does NOT do this type of search, which requires a database of millions of records. Fone Finder is designed to take a phone number, and look up a city, or take a city, and give the possible prefixes and area codes. No known search of these types is currently available on the Web. "Why do you show GTE as the telco when the new name is Verizon?" -- We use the official, registered company names. Telcos sometimes use a different company name when marketing to the public. "Why can't I put in a number and get a person?" -- Fone Finder does NOT do this, but there are some sites on the web that have a reverse search: www.infospace.com -or- www.anywho.com. If you want a reverse search more accurate than these, I can only suggest you buy a set of CDROMs with the phonebooks on it at the software store (e.g. "Pro Phone", or "Phone Books USA"). "Why can't I put in all 10 digits?" -- Since Fone Finder only uses the first seven digits in its USA search, the rest are unnecessary. "Why can't I find a city in xxxxx country?" -- Not all countries have their cities loaded yet. Look in the "City codes loaded for" list to see if your country is there. This list grows weekly as people send me city codes from around the world, and I key them in. I should have all countries loaded, and you will always be able to at least find out the country name, map, and flag. "Why can't I look up New York City?" -- Try the borough: Staten Island, Manhattan, Bronx, etc. "Why can't I find a city by name?" -- I have 15 digits per city, and some of them had to be contracted. Try keying less letters, and let the wildcard search take over. If the city starts with "Saint", try "ST". If the city starts with "West", try "W ". "Why did the city name come up: "LAXWZ1" (or similar unreadable code)?" -- Each telephone company gets to name a prefix (NXX) when assigned. The tradition is to name them after the cities they belong to. Some telcos do not do this, and unfortunately I have to go with the name they give them. "Please, puhleeeeez help me! I need to find the cell phone number of some old friend who lives in Cameroon?" -- Sorry, but all the data I have are published. There are no other data kept behind the counter, so if you don't find it on the shelves, we don't stock it. I suggest paying for a people search online. "Why doesn't backspace work in my browser?" -- Over time as Fonefinder changed servers and technology the URL which made it work changed. But to keep the URL compatible with the past I put a redirector in from http://www.primeris.com/fonefind/ which always points to the latest URL for the server-side script. When you are on the search page and hit backspace, it will go to the above page, which redirects you back in. Some people have suggested some nefarious scheme to lock them into the site, and this just isn't so. If compatibility is most important to you, use the URL above, as it will always work. If you want backspace to work in your browser, then notice the URL that is displayed when you are on the FoneFinder search page, clip it out, then use it for your links. I maintain the engine, but the data for Fone Finder are provided by helpful people from around the world. Those who wish it are credited on the Fone Finder homepage. People who give a lot of help get a link to their page. People who give insane amounts of help get an Easter Egg with their picture embedded in the international database ("ARGARG"). If you have any of the following, and would like to contribute, please email to the address below. If your info is useful (and I'm the judge of that), I'll make you famous by putting your name in front of several thousand people each day. 3/24/16 - Added 3200 new NXXs, 120 USA OCNs, and freshened OCN splits. Thanks to NANPA and NumberPool. 3/2/15 - Freshened NXXs, OCNs, and OCN splits. Thanks to NANPA and NumberPool. 11/3/13 - Added 2512 new NXXs, 70 USA OCNs, 2 Canada OCNs, and freshened OCN splits. Thanks to NANPA and NumberPool. 11/1/13 - Added 400 Canadian NXXs and fixed the missing Quebec NPAs. 03/22/13 - Added 6641 Canadian NXXs, updated 300 Canadian OCNs, added 43 Canadian OCNs. 02/21/13 - Added 3414 new NXXs, 30 new OCNs, updated the names of 288 OCNs, changed the OCNs for 20,000 NXXs, and replaced 373,000 NXX pool splits. 07/23/12 - Added 3414 new NXXs and 61 new OCNs. 09/6/10 - Added 2783 new NXXs and 23 new OCNs. 09/3/10 - Added search page functionality: new findcity page and soundex match between NANPA city names and zipcode cities. 08/31/10 - Moved FF website to a new dedicated server with Dual-Core CPUs. 06/14/10 - Added 2382 new NXXs, 156 new OCNs and 31,278 new NXX splits. Did a 'Spring Cleaning' for 2010, updating grandfathered OCNs to the current value. 11/07/09 - Added 1245 new NXXs and 120 OCNs. Thanks to NANPA. 11/04/08 - Added thousands of sub-NXX splits. Thanks to Neustar. 05/02/08 - Added 475 new NXXs . Thanks to NANPA. 02/23/08 - Added 384 new NXXs and 2500 new thousand-blocks . Thanks to NANPA. 09/21/07 - Added 1100 new NXXs and 70 new OCNs. Also updated all OCNs to match official telco records. Thanks to NANPA. 04/11/07 - Added 613 new NXXs and 62 new OCNs. Also did our annual Spring Cleaning where all city names are updated to match official telco records. Thanks to NANPA. 02/06/07 - Added 1478 new NXXs and 52 new OCNs. Thanks to NANPA. 08/15/06 - Added 2676 new NXXs and 159 new OCNs. Thanks to NANPA. 11/14/05 - Added 495 new NXXs and 33 new OCNs. Thanks to NANPA. 9/29/05 - Added Resources Page, Zip code lookups, Area Code Detail page. 9/15/05 - Added new sub-NXX split table, so that Fonefinder now resolves the first 7 digits into a telco. This feature takes into account the reality that NXXs are split into up to ten groups, each with their own telco. Thanks to Neustar. 8/30/05 - Added 981 new NXXs and 78 new OCNs. Thanks to NANPA. 5/26/05 - Added 902 new NXXs and 81 new OCNs. Thanks to NANPA. 1/20/05 - Huge update of telco names. Found that my telco-name update program had a bug and the names haven't been updating properly in some time. 12/1/04 - Added 916 new NXXs and 93 new OCNs and updated 9663 OCNs. Thanks to NANPA. 07/14/04 - Added 268 new NXXs and 16 new OCNs and updated 867 OCNs. Thanks to NANPA. 07/13/04 - Cleaned up Canadian OCN links and added 13 new Canadian telcos. Thanks to CNAC. 05/28/04 - Added 2113 new NXXs including the new 951 area code in California, added 90 new OCNs, and changed 2641 OCNs. Thanks to NANPA. 04/08/04 - The greatest day in the 9-year history of FoneFinder! A sponsoring company bought us a dedicated server. Thanks to Image Advantages! . 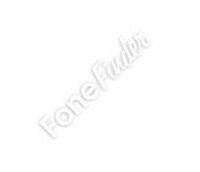 We encourage all users of FoneFinder to check out their products. 11/17/03 - Added 1150 new NXXs and 26 new OCNs. Also, updated all OCN names. Thanks to NANPA. 7/12/03 - Added 2460 new NXXs and 94 new OCNs. Also, updated 6400 OCNs due to telco buyouts and mergers. Thanks to NANPA. 5/30/03 - Added 4930 new NXXs. Thanks to NANPA. 1/3/03 - Added 27 new NXXs. Thanks to Stuff Software. 11/30/02 - Added 3925 new NXXs. Thanks to Stuff Software. 10/29/02 - Added 1787 new NXXs. Thanks to Stuff Software. 8/29/02 - Added 1640 new NXXs and 96 new OCNs. Thanks to Stuff Software. 8/13/02 - Added 1001 new NXXs. Thanks to Stuff Software. 7/17/02 - Merged the OCN's from NANPA (which is more accurate) in with the city names from our original database (which are more descriptive). Everyone is happy. 7/10/02 - Reverted back to the original database because the Nanpa one didn't have wire center names. Also added new NXXs. Thanks to Stuff Software. 6/18/02 - It's spring cleaning time again! All old prefixes after splits have been removed. As a trial, we are using another NPA/NXX list in place of our old one and VA's new state NPA map. Thanks to NANPA. 4/23/02 - Added 8073 new NXXs. Thanks to Stuff Software. 3/26/02 - Added 540 new NXXs and 18 new OCNs. Thanks to Stuff Software. 2/26/02 - Added 806 new NXXs, many of them in the new 772 and 239 area codes in Florida and 575 in New Mexico. Thanks to Stuff Software. 2/20/02 - This was a bad day that ended well. After posting three submissions, the database crashed mid-day from overload and remained down for hours. Our terrific web hoster CQ Host took pity on us, and moved the database to a less-loaded server. I moved the tables over and changed the scripts, and now FF is running smoothly again. 2/17/02 - Added a hundred city codes and the country code of '970' for Palestine. Thanks to Richard de Koning at www.numberingplans.com. 2/13/02 - Added hundreds of new city codes for Kyrgystan, Turkmenistan, Georgia, Moldova, Azerbaijan. Thanks to Ned Lambert. 2/11/02 - Added 50 new city codes for Hungary. Thanks to Ned Lambert. 1/27/02 - Added 197 new NXXs, many of them in the new 772 area code in Florida. Thanks to Stuff Software. Also I have posted hundreds of new cities in dozens of countries, with files sent in by Michael McGinnis and Ned Lambert. Thanks guys! 1/7/02 - Added hundreds of new city codes for the Balkans and Spain, thanks to Ned Lambert. Also added 11,000 (!) new city codes in the Netherlands. Thanks to Richard de Koning at www.numberingplans.com. 12/27/01 - Added 271 new NXXs. Thanks to Stuff Software. Also cleaned up Turkey and China, with files sent in by the great Ned Lambert. 12/23/01 - Added hundreds of new city codes for Philippines, Switzerland, France, and Iran. Thanks to Ned Lambert. 12/13/01 - Added hundreds of new city codes for Poland and Philippines. Thanks to Michael McGinnis. 12/5/01 - Wiped out the old Mexico city codes and added 401 new area codes. With thanks to: Eduardo Noriega, who sent them in. 11/28/01 - Added 987 new NXXs. Thanks to Stuff Software. 11/25/01 - Added 18,000 (!) new city codes in Spain. Thanks to Richard de Koning at www.numberingplans.com. Also added 3100 city codes with thanks from www.numberplans.org. 11/24/01 - Added 173 new city codes in Australia and hundreds more in the Netherlands and Ireland. Thanks to www.telecom.paper.nl. 11/23/01 - Added 340 new city codes in Russia. Thanks to Richard de Koning at www.numberingplans.com. Check out this site, as they have the best international city database I've found. 10/23/01 - Added 623 new NXXs and 14 new OCNs. Thanks to Stuff Software. 9/20/01 - Added 714 new NXXs. Thanks to Stuff Software. Also added an amazing 4500 cities in Spain, with grateful thanks to Ramon Bassons, who sent in a spreadsheet of all the cities and codes. 9/17/01 - Added 485 new city codes for Pakistan. Thanks to Michael McGinnis. 9/10/01 - Added 122 new city codes for Nigeria, 204 codes in Indonesia, and 67 codes for Venezuela. Thanks to Michael McGinnis and Ned Lambert. 8/26/01 - Added 1230 new NXXs and 45 new OCNs. Thanks to Stuff Software. 8/3/01 - Added 1891 new NXXs and 15 new OCNs. Thanks to Stuff Software. 6/27/01 - Added 1044 new NXX's. Thanks to Stuff Software. 6/8/01 - The server melted down due to overload on Wed. and I had to restrict every company to 100 searches per day. I asked our corporate users to chip in with a $100/month sponsorship each, but they all ignored me. Z-Tel, our heaviest user by far, has now backed out of their sponsorship, so it looks like the cavalry ain't coming. I'm going on vacation out of the country for two weeks, so you can all just overwhelm and crash the system while I'm gone. With luck, I'll return and you will have all destroyed it, so I won't have to run this anymore. I'm tired of all the telco corporate leeches who hammer the system but won't help it. 5/29/01 - Updated city codes for Chile, Argentina, UK, Madagascar, Japan, Uruguay, and U.A.E with data provided by Ned Lambert. 5/22/01 - Added 1409 new NXX's and 3 new area codes: 928 - AZ, 251 - AL, 434 - VA. Thanks to Stuff Software. 5/21/01 - Updated city codes for Poland with data provided by Ned Lambert. 5/19/01 - Updated city codes for Argentina, and completely replaced Netherlands codes with data provided by Ned Lambert. 5/18/01 - Updated city codes for South Korea, Japan, Brazil with data provided by Ned Lambert. Removed all cities in Central America (City Codes=502, 503, 504, 505, 506, 507), as they no longer have city codes, but 7-digit numbers. 5/16/01 - Completely replaced all city codes for Switzerland, South Africa, and Poland with data provided by Ned Lambert. Removed all cities in Iceland, as they no longer have city codes, but 7-digit numbers. 5/11/01 - Freshened up our set of world and state maps, courtesy of worldatlas.com. 5/9/01 - Added 63 new international cities in the former Soviet Union, and one new country, Tajikistan, code=992. Thanks to Randy Harrison, who sent in a spreadsheet of updates. 5/1/01 - Added 78 new prefixes for Canada. Thanks to Fritz G. Zéphir, who sent in several spreadsheets of prefixes. Fritz, you're a huge help. Thank you. 4/24/01 - Removed Guam (CC=671) from the Int'l database as it is now area code 671. Also fixed the URL and spelling of Guadeloupe. Thanks to Michael McGinnis, who sent in several fixes. Added 1005 new NXX's and 17 new OCNs. Thanks to Stuff Software. 4/23/01 - Added 4763 city codes for India. Thanks to Michael McGinnis, who sent in a spreadsheet of cities and codes. 4/17/01 - Added and cleaned up a bunch of city names in the Philippines. Also fixed a bug in the international search engine that has gone unnoticed for some time. A phone number of "6334" (for example) would match to "6332" in the database if "6334" did not exist. Thanks to Jason Fetterolf, who sent in an email of fixes. 4/13/01 - Updated a bunch of city names for Focal Communications, who has developed a bad habit of naming every switch after a big city 100 miles away. Hence they had "San Bernardino", "Irvine", and "Blythe" all named "Los Angeles", and about 100 others. Thanks to Jason Fetterolf, who sent in a spreadsheet of fixes. 4/3/01 - Due to abuses by someone who used a computer program to hammer my database with every known NPA/NXX several times, no more Mr. Nice Guy. I've implemented controls that limit any user to 1000 searches per day, unless otherwise authorized. Abusers can be shut off entirely and this one individual has been blocked. Anyone who needs a higher limit can write to me. 3/27/01 - It's spring cleaning time again! I updated the prefixes for all the old NPAs that split in the last year, then added 50 new OCNs, 750 new NXX's, and nine state NPA maps. Thanks to NANPA. And a bigger thanks to Stuff Software. 3/19/01 - Upgraded the snoop engine, and began counting accesses by IP per day into the Activitydaily table. This is the mechanism we'll use to limit access to those heavy corporate users who are overloading the system. 3/8/01 - Upgraded to PHP4 scripting language. This allows us to stop using the "index.html" redirect and keep our compatibility with the http://primeris.com/fonefind/ URL. This fixes the "no browser backspacing" problem some users encountered. 3/1/01 - Upgraded our web hosting account type to CQHost's Corporate level, due to increased user demand pushing our data transfers past 14 Gigabytes per month. If demand goes past 20Gb/month we will have to start limiting access by heavy corporate users, or my hosting bill will go beyond affordability. 2/20/01 - 1380 new NXXs and these new NPAs: 386-FL, 563-IA, 620-KS, 985-LA, 731-TN. Thanks to Stuff Software. 2/14/01 - Added 20 new Quebec prefixes, thanks to Fritz G. Zéphir. 2/13/01 - Added a Zip code table, which will be used for a future zip code search. 2/9/01 - Added a unique-key constraint on the OCN table to eliminate duplicates. This caused garbage results in some NPAs. 1/30/01 - 2772 new cities in India. Thanks to Michael McGinnis and http://keralatelecom.com/search.htm. 1/26/01 - 1366 new NXXs. Thanks to Stuff Software. Also a new homepage for Nigeria and added several NXX's for Edge Wireless in Idaho. 12/28/00 - 1140 new NXXs. Thanks to Stuff Software. 12/21/00 - 7 new NXXs in Saskatchewan Area 306, Thanks to Lyle Kuznitsoff. 12/6/00 - 12 new NPAs and 1127 new NXXs. Thanks to Stuff Software. 11/14/00 - Replaced the UK cities with a new set of city codes sent in by John Rymell of London. This is a tremendous improvement that incorporates the numbering plan change that the UK has gone through recently. Hats off to John for the help! Thanks also to Richard Merrick for a link to a permanent source of UK city codes: http://www.oftel.gov.uk/numbers/codelist.zip. 10/13/00 - Added the 859 area code which split from 606 in Ohio. Thanks to Jean VanWyk who sent in all the NPAs in a spreadsheet. 10/12/00 - Changed the parameters passed to the US Gazeteer mapping server so that multi-word city names are now mapped properly. Thanks to John DiNapoli who sent in the suggestion. 10/11/00 - Added 40 new NPA/NXX pairs to Canada, also some website addresses in Canada. Thanks to Fritz G. Zéphir who is sending monthly Canada updates. 9/14/00 - Added 267 international mobile codes thanks to Ann P. Marzano, AT&T Service Provider Markets. 8/12/00 - Fixed NPA=514 in Quebec with thanks for a tip from Liane Chamaillard. 8/1/00 - 'Spring Cleaning' for 2000: clearing out the NXX's which no longer overlap after an NPA split. It came late this year, but our database accuracy is much improved. 7/20/00 - After the debacle of CIhost.com (NOT "CQHost", which is a GREAT company) crashing both our websites, fonefinder.net has been moved to Topchoice.com web hosting. The new data tables are loaded, and soon both sites (primeris.com and fonefinder.net) will be operating independantly. 6/23/00 - 4 new NPAs: 520-CA, 570-VA, 641-IA, 682-TX And 1708 new NXXs. Thanks to Stuff Software. Also changed background to not scroll. 5/24/00 - Added links to many more telco websites, and cleaned up the 662 NPA with help from Jimmy McGill of DixieNet Communications. 5/23/00 - Made a link to the telephone company website when known. 5/10/00 - Put a link to the state PUC when the query has one row returned. 5/8/00 - Updated the Telco entry for Alberta and British Columbia to point to Telus. Thanks to Stephen F. Bosch. 5/2/00 - Updated 20 prefixes in Alberta's 780 NPA, with thanks to Glenn Leipz, who sent in all the NXXs. 5/1/00 - The transfer to cqhost is complete and we are free of Hiway. Now we can go to 8 gigs of data transfer per month. 4/12/2000 - Activated our new URL: "fonefinder.net", and pointed the page at Primeris to auto-transfer to it. We are almost independant of Hiway. 4/7/2000 - Upgraded the snoop screen and registered the domain "fonefinder.net". Our new online home at cqhost.net is working fine. 4/2/2000 - Continued a transition to a new webhosting company, because Hiway is charging me extra now that traffic is over 4GB/month. 3/22/2000 - Added 1370 new international city codes, with thanks to Pat Shaw, who supplied them in a spreadsheet. 3/22/2000 - Added a new feature to the USA/Canada search. The result set of state names can be clicked on to display a map of the area codes in that state. The maps are not as up to date as Fone Finder. Thanks to North American Numbering Plan Association. 3/21/2000 - 22 new NPAs: 234-OH, 252-SC, 267-NJ, 304-PA, 319-IL, 334-LA, 501-OK, 505-TX, 520-TX, 540-MD, 706-SC, 740-PA, 785-OK, 828-SC, 850-MS, 859-KY, 859-OH, 910-SC, 912-SC, 919-SC, 940-OK, 978-MD . And 3730 new NXXs. Thanks to Stuff Software. 2/24/2000 - 9 new NPAs: 201-MA, 480-AR, 520-MN, 564-WA, 602-AR, 623-NY, 763-MN, 781-MD, 952-MN. And 2218 new NXXs. Thanks to Stuff Software. 2/7/2000 - 2 new NPAs: 936-TX, 951-CA. And 992 new NXXs. Thanks to Stuff Software. 2/4/2000 - Modified the STATE table so it holds the flag info, instead of the NPANXX table. This is more normalized, and will make database updates easier. 1/21/2000 - Reloaded the missing area code 450. With gratitude to Jean-Francois Laplante , and apologies to the citizens of Quebec. 1/14/2000 - Reloaded the missing area code 514. With gratitude to Andre-John Mas, and apologies to the citizens of Quebec. 1/11/2000 - Fixed Trinidad/Tobago's country code from 869 to the proper 868, and added two city codes. With thanks to Liesl A Asiu. 1/6/2000 - Added in 2800 new NXX's, and 5 new NPAs: 443-DC, 586-MI, 636-NY, 703-CA, 979-TX. Also cleaned up the 775/702 and 805/661 splits. Thanks to Stuff Software for the new codes, and W. Donald Fuller and Jean-Claude Koven for reminding me that permissive dialing has ended for these splits. Fone Finder stayed up past midnight despite Y2K, but we had the generator ready to go anyway. 12/20/99 - Added in several thousand city codes for Germany and Austria. Thanks to Laurent Guerre, who sent in spreadsheets of city codes and names. 12/15/99 - Added in several city codes for Tanzania, with thanks to Keiron White. 12/9/99 - Added in several city codes for France. Thanks to Laurent.Guerre, who sent in spreadsheets of city codes and names. I'm now able to patch from Excel spreadsheets directly thru ODBC into the online database, which speeds up the updating process tremendously. 12/1/99 - Reloaded the database to include canadian cities which were being excluded from database searches because they had no OCN. Also restructured the npanxx table to remove telco data, making it smaller. Attempted to use Microsoft ODBC to reload database tables, but it is too slow, on the order of 10 rows added per minute. An apology to all users who experienced outages during this tough day. 11/27/99 - Added in the telco type by including an "OCN" table in domestic searches. Made output font smaller. 11/26/99 - Added in hundreds of new city codes for Austria and Ireland. Thanks to Laurent.Guerre, who sent in spreadsheets of city codes and names. 11/26/99 - Added in 160 new int'l. city codes using the UK's new area code scheme. Thanks to Brian McCauley and http://www.numberchange.org. We will overlap both types of codes for awhile. 11/25/99 - Added the new Alberta 780 area code thanks to Robert Ricketts. Also 1269 new NXX's, and 5 new NPAs: 207-MA, 301-TX, 480-PA, 609-NY, 760-NV, thanks to Stuff Software. Usage counter increased to 6 digits, as the total is now 52,000. 10/26/99 - Removed the restriction of 500 records per search and upgraded to 1000. Now an entire NPA can be displayed at once. Tightened query form. 10/25/99 - Search engine converted from PHP/FI to PHP3 server-side script. Runs faster now. Usage counter added to query page and initialized to zero. Database is changed from mSQL 2.0 to MySQL. 10/19/99 - 6 new NPAs: 330=WI, 347=NJ, 413=CT, 631=NY, 646=NJ, 865=TN. And 909 new NXXs. Thanks to Stuff Software. 9/21/99 - 4 new NPAs: 240 VA, 321 FL, 337 LA, 787 WA and 709 new NXXs. Thanks to Stuff Software. 8/23/99 - 12 new NPAs: 262-IL, 262-WI, 267-DE, 302-AZ, 347-NY, 401-MA, 484-DE, 503-WA, 662-CA, 863-FL, 914-NJ, 971-OR and 2059 new NXX's, thanks to Stuff Software. 8/13/99 - Added city codes for Japan and Slovakia. 8/12/99 - Country database has beesn upgraded to MySQL 2.20 format. Searches are now faster. United Arab Emirates cities added and other cleanups. 8/11/99 - Upgrade to the search engine: MySQL 2.20 replaces mSQL 1.0 for NPA/NXX data, multiple cities now do not display a flag for increased speed. 7/31/99 - A search engine upgrade now displays the Telco that "owns" an NXX. Six new NPAs: 267 DE, 401 MA, 404 CA, 484 DE, 662 CA. Also 947 new NXX's, thanks to Stuff Software. 6/20/99 - Six new NPAs: 309 IA, 503 DE, 507 PA, 815 OH, 856 NJ, 856 PA. Also over 1100 new NXX's, thanks to Stuff Software. 5/29/99 - Seven new NPAs: 270-KY, 415-TX, 609-DE, 650-TX, 814-TX, 925-TX, 970-OH. Also over 1300 new NXX's. Due to several complaints (all valid) this month we made a concerted effort to remove all old NXX's for which the permissive period has ended. This cleaned up quite a bit of old city/code pairs, and allowed the new NXX-city pairs to come active. Thanks to all who contributed information on their areas, especially Bruce Resnick from Texas. 4/15/99 - 403 area code (Alberta, Canada) splits into 780 area code. Thanks to Tom Hall, who sent in the new prefixes. 4/12/99 - 2 new area codes (480-AZ, 361-TX) and 2000 new prefixes thanks to Stuff Software. 3/6/99 - 3 new area codes (225-MS, 503-WA, 832-TX) and 818 new prefixes thanks to Stuff Software. Update on the 514/450 split from Jean-François Laplante. 1/26/99 - hundreds of new prefixes. Thanks to Stuff Software. 12/29/98 - 1251 new prefixes. Thanks to Stuff Software. 12/18/98 - over 1000 new prefixes, and the 702/775 split in Nevada. Thanks to Stuff Software. 11/18/98 - over 5000 new city codes loaded for Germany, Search engine upgraded to find 5-digit city codes. Thanks to Thomas Henlich and Udo Halfmann. 11/17/98 - over 1000 new prefixes, and another cleanup of Massachusetts' 581/718/617 area code split. Thanks to Stuff Software. 09/25/98 - 602/520 prefix cleanup, 450 area code added in Quebec thanks to Jean-Francois Laplante, Montana city name cleanup. 09/14/98 - 1277 new NXX's added. Thanks to Stuff Software. 07/30/98 - 323 area code and misc. new prefixes added. Thanks to Stuff Software. 06/09/98 - Eight new area codes added. Thanks to Robert Ricketts. 03/15/98 - Four new area codes added. Thanks to Robert Ricketts. 12/23/97 - 3000 new city codes added to int'l database. Thanks to Telecom Archives. 12/15/97 - Database cleanup, new prefixes (nxx's) added, city names changed. Thanks to Robert Ricketts. 12/14/97 - 250 area code splits from 604 (British Columbia). Thanks to lincs. 12/13/97 - 972 area code splits from 214 (Dallas). Thanks to Cincinnati Bell. 12/12/97 - 937 area code splits from 513 (Southwestern Ohio). Thanks to lincs. 10/30/97 - Fone Finder is back on Unix! After a week of non-operation on NT caused by our hosting company: Hiway. 10/12/97 - 650 area code splits from 415 (California - SF). Thanks to Pac Bell. 10/11/97 - 785 area code splits from 913 (Kansas). Thanks to lincs. 10/10/97 - 435 area code splits from 801 (Utah). Thanks to US West. 10/10/97 - 664 area code created for Montserrat, split from 809 (Caribbean). Thanks to lincs. 10/10/97 - 345 area code created for Cayman Islands, split from 809 (Caribbean). Thanks to C&W Telecom. 10/10/97 - 869 area code created for St. Kitts & Nevis, split from 809 (Caribbean). Thanks to St. Kitts Information Service. 10/10/97 - 248 area code splits from 810 (Michigan). Thanks to Ameritech. 10/09/97 - 956 area code splits from 210 (Texas). Thanks to lincs. 10/08/97 - 830 area code splits from 210 (Texas). Thanks to lincs. 10/07/97 - 765 area code splits from 317 (Indiana). Thanks to lincs. 10/06/97 - 870 area code splits from 501 (Arkansas). Thanks to lincs. 10/05/97 - 254 area code splits from 817 (Texas). Thanks to lincs. 10/04/97 - 940 area code splits from 817 (Texas). Thanks to lincs. 10/03/97 - 931 area code splits from 615 (Central Tennessee). Thanks to lincs. 10/03/97 - 920 area code splits from 414 (Eastern Wisconsin). Thanks to lincs. 10/03/97 - 767 area code created for Dominica, split from 809 (Caribbean). Thanks to lincs. 10/03/97 - 284 area code created for British Virgin Islands, split from 809 (Caribbean). Thanks to lincs. 10/01/97 - 850 area code splits from 904 (Florida panhandle). Thanks to lincs. 09/24/97 - 649 area code created for Turks & Caicos, split from 809 (Caribbean). Thanks to lincs. 09/23/97 - 340 area code created for the U.S. Virgin Islands, split from 809 (Caribbean). Thanks to lincs. 09/23/97 - 868 area code created for Trinidad & Tobago, split from 809 (Caribbean). Thanks to lincs. 09/23/97 - 876 area code created for Jamaica, split from 809 (Caribbean). Thanks to lincs. 09/22/97 - 440 area code splits from 216 (Ohio). Thanks to lincs. 09/21/97 - 228 area code splits from 601 (Mississippi). Thanks to lincs. 09/18/97 - 253 area code splits from 206 (Washington). Thanks to Joseph Singer, who emailed in all the prefixes. 09/17/97 - 425 area code splits from 206 (Washington). Thanks to Joseph Singer, who emailed in all the prefixes. 08/29/97 - 973 area code splits from 201 (New Jersey). Thanks to Jackster Carey, who mailed in all the prefixes. 08/27/97 - 732 area code splits from 908 (New Jersey). Thanks to Jackster Carey, who mailed in all the prefixes. 08/19/97 - 781 area code splits from 617 and 508 (Massachusetts). Thanks to Bob Demattia, who organized, and keyed all the prefixes. 07/05/97 - 1600 cities in the United Kingdom added. Thanks to Oftel corp. of Britain. 07/04/97 - Cities from 15 countries added, including Germany, India, and Guinea. Thanks to Steve Kropla. 06/30/97 - New 626 area code splits from 818 (San Fernando Valley of So. Cal.). Thanks to Mike Morris, who faxed in all the prefixes. 06/28/97 - City codes from three new countries added: Finland, France, Georgia. Thanks to Steve Kropla. 06/04/97 - 12,000 new city codes added in the USA and Canada. Thanks to John Sorenson. 05/01/97 through 06/05/97 - A complete haze of keying in thousands of cities. 05/01/97 - Fone Finder is reincarnated on this server. Database is about two years old. 02/01/95 - Phone Phinder begins its previous incarnation, hosted on another system. Thanks to its father: "Argarg" for coming up with the idea and writing all the Perl code. And thanks to Bob Dobbs for providing the Slack in the system that made it work.